Summer is right around the corner and you know what that means right?! It’s time to soak up the sun and make some fun memories. As for Netflix, it means that it’s time to bring out an incredible, new movie that is bound to give everyone the #feels. Presenting you… The Last Summer. In this outstanding film, a group of high-school graduates welcome in the excitement of their last summer before they head out to college. There’s nothing quite like that bittersweet feeling of leaving high school and starting a new chapter in college. Throughout the summer, these teens experience the ups and downs of relationships and they make the ultimate decision of who they want to be as they gear up for college. Needless to say, the storyline of The Last Summer describes a perfect summer flick that will definitely make our heart skip a beat… or two. And, The Last Summer just so happens to have a sensational cast of actors and actresses who we all know and love. 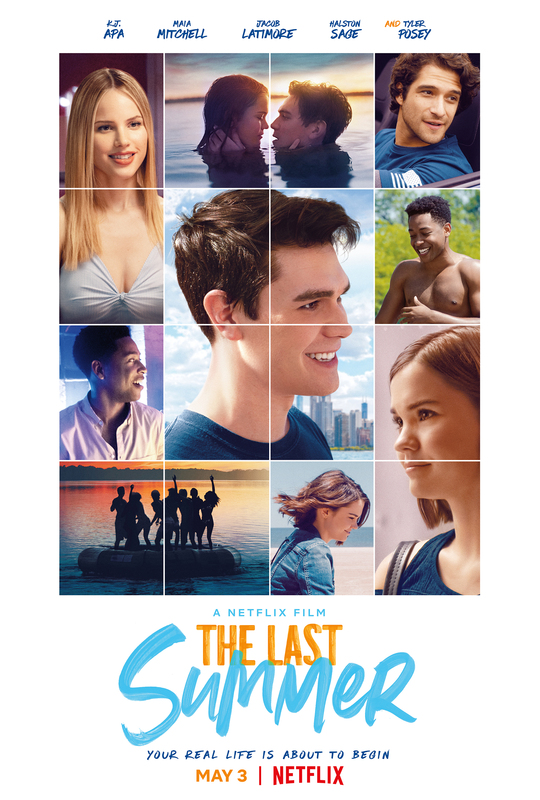 The cast of The Last Summer includes KJ Apa, Maia Mitchell, Halston Sage, Jacob Latimore and Tyler Posey. The film also stars Sosie Bacon, Wolfgang Novogratz, Gabrielle Anwar, Ed Quinn, Jacob McCarthy, Mario Revolori, Gage Golightly and Norman Johnson, Jr. The Last Summer is certainly the summer movie we all needed. We totally admit that we have watched the trailer several times because the film looks oh, so amazing. See the trailer below and be sure to watch The Last Summer launching on Netflix on May 3rd!